When I think of January goals and resolutions usually comes to mind. So, as I was creating this month’s VT message I had the idea to have a space where your sisters could write down some spiritual goals they would like to achieve this coming year. I included 2 great quotes from the message and the scriptures as well. Invite your sister to take some time to ponder the message and the scriptures and think of ways they could become more Christ-like in 2014. 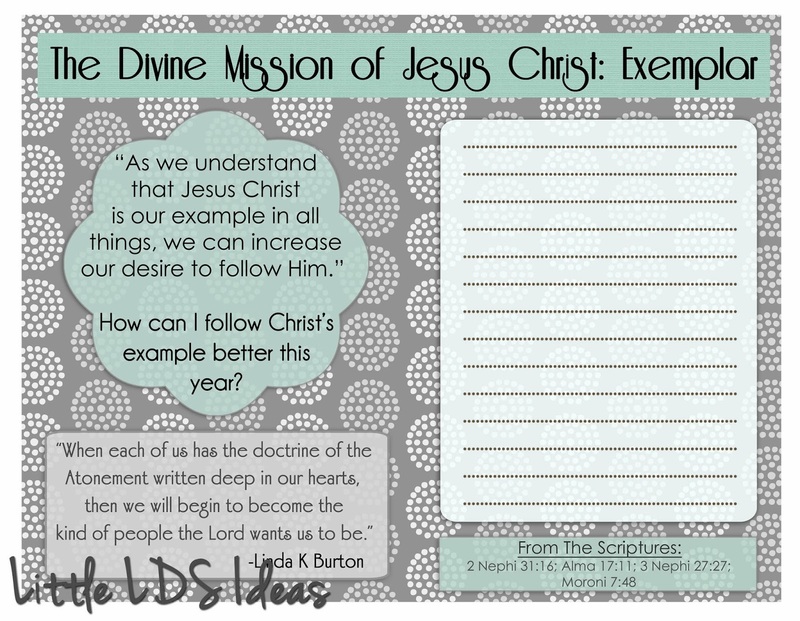 This month’s message focuses on Christ being our greatest example, so what better way to start a new year than making goals to help us strive to be like Him. Click Here to print my January Visiting Teaching Printable. I hope you enjoy my VT printable as well as the sisters you visit.